In Christ, we have access to abundant life all day every day. Abingdon Press is taking that message to the kids with “24/7 – Jesus Makes a Way Every Day.” Abingdon creates unique children’s programming with a focus on the African-American community. Through life lessons from real African-American “waymakers,” students can see how God’s Spirit opens doors through the forgiveness and the love of Jesus. Jesus Makes A Way Every Day! 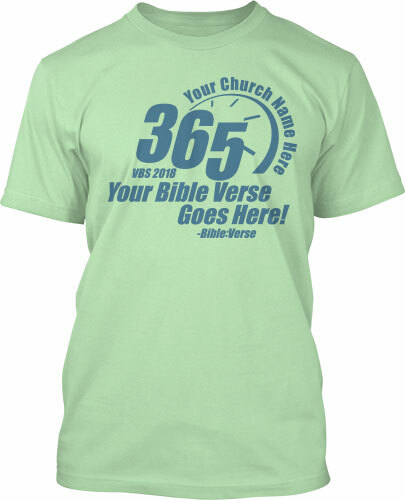 BIBLE POINT: Each day of VBS will bring your kids closer to understanding the abundant life available in Christ. On Day 1, kids hear the story of the wise man who built his house on the rock to recognize that Jesus is a rock and a shelter for their lives. Kids learn on Day 2 that bread is good for sharing with one another, and that we should have a heart for sharing with our brothers and sisters. Through the parable of the widow and the unjust ruler, kids learn on Day 3 to stick with it and never give up when seeking justice. Day 4 brings the story of the birds and flowers of the field so that kids can remember that God does care and provide. Finally, Day 5 focuses on forgiveness, both the forgiveness we receive from God, and the forgiveness he calls us to give others. MUSIC & DANCE: The music in 24/7 is large and in charge – and you won’t be able to stay in your seat! The gospel and hip-hop soundtrack to this VBS will keep your kids dancing all week long. 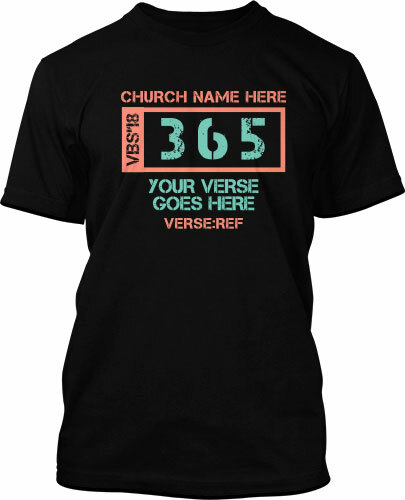 Christian hip-hop artist Ricky B brings the beats with fun call and response songs like the theme Twenty Four Seven. Other classic gospel songs are given a fresh face with some incredible gospel performances, especially by the female lead. Our favorite though is the funky Prince inspired guitar song called Live Together. That song will be on repeat in every car on the way home from VBS. It all adds up to a danceable mix that your kids and adults alike will love! AFRICAN AMERICAN FOCUS: 24/7 is distinct among VBS themes as it draws on the culture and history of African American luminaries as an approach to sharing God’s Word within the community. Students will hear stories of heroes in the Bible and of African Americans who faced significant challenges in their lives. Kids are encouraged to pursue the abundant life available when they put their faith in Jesus. 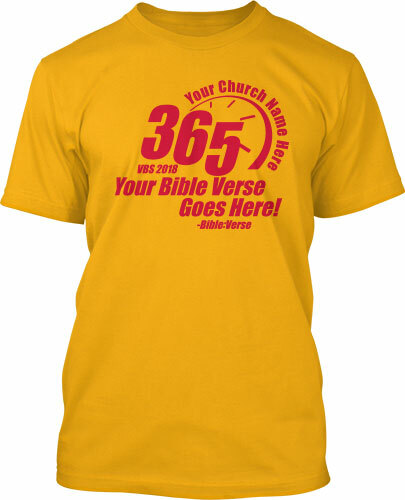 This unique emphasis also makes 24/7 a great option for a five-week Sunday School series during Black History Month. EXTRAS: Every year Abingdon pulls together a load of cool extras and arts projects to help drive home the theme and message. Keep an eye on this page and we’ll give you updates as soon as we get them! Purchase or pre-order your copy of 24/7 from Abingdon Press HERE. 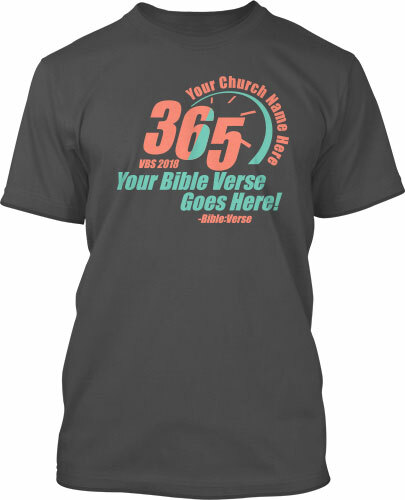 All Day Every Day: Get ahead by requesting a free digital mockup of your 2018 VBS t-shirts today! 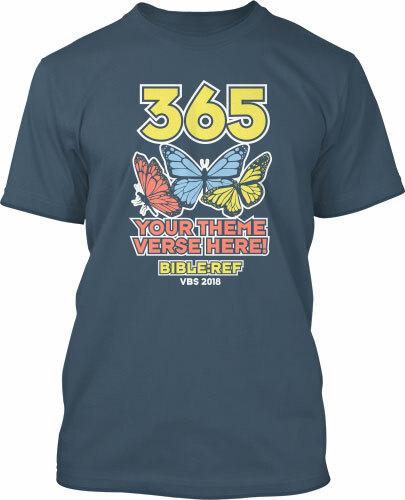 Excite your VBS team for next Summer.